Hybrid infrastructure is the result of a fundamental evolution of IT to the cloud, and it has become the norm for most midsize and larger organizations. As the prevalence of hybrid environments increases, one of the most confounding and troublesome problems to emerge is a lack of comprehensive management and visibility across the entire IT infrastructure—whether in the cloud or on premises. In addition to on-premises infrastructure, enterprises are using more and more cloud service providers for different applications and workloads. As such, they often have to use a number of operational tools to manage and secure all of these environments, which results in multiple silos across their cloud and on-premises infrastructure. To operate their IT environments effectively, organizations require security and operational visibility from a single, comprehensive solution. Without a solution for end-to-end visibility, organizations can miss a number of opportunities for making their infrastructure more efficient, secure and effective. In contrast, with complete visibility based on harnessing the data generated by all resources, it becomes possible to effectively manage infrastructure in real time. This simplifies the identification and remediation of security events, performance bottlenecks and application issues. Unified management also empowers IT teams and saves them substantial time by providing one comprehensive view, rather than having to piece together information from multiple tools across multiple silos. In addition, this allows organizations to optimize all infrastructure by simplifying the ability to manage all cloud and on-premises resources. However, as the fundamental evolution of IT infrastructure continues, managing and securing hybrid environments is just the tip of the iceberg. New workloads will have a vast array of data types and come from numerous technology and data sources, including third-party software-as-a-service providers. To meet the business demands of the organization, it’s important that IT is positioned to leverage all of its technology options. This will result in a diverse and heterogeneous application, service and infrastructure environment. The organization must be empowered to choose the best offering; any artificial limit driven by poor visibility and inflexible management tools is unacceptable. Think about these four key factors to influence your cloud decisions. Collect and index any data. This enables the collection and comparison of data across all infrastructure and from every layer of the hardware, software and networking stack. Search and investigate. This essential capability enables the ability to search data in a simple and straightforward way, and to further investigate any activity that demands attention. Correlate and analyze. This provides the ability to look across all systems and correlate data across multiple sources to support analysis of any event or failed transaction based on time, process or other attribute. Visualize and report. The capability that bestows the ability to easily visualize what the data indicates and create compelling reports, which is essential given the size of data sets from diverse, distributed environments. Monitor and alert. This enables the triggering of real-time notifications to IT staff as issues are discovered, based on existing searches. 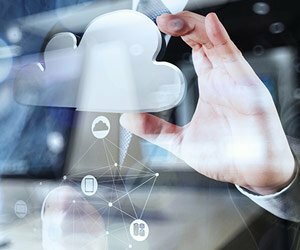 The evolution of IT is well underway with enterprises increasingly leveraging a diverse set of cloud and on-premises resources. The benefits from this change are substantial in terms of supporting organizational goals, improving efficiency and enhancing agility. However, comprehensive visibility across all IT infrastructure is essential in order to successfully make the transition. Splunk®, Splunk>®, Listen to Your Data®, The Engine for Machine Data®, Hunk®, Splunk Cloud™, Splunk Light™, SPL™ and Splunk MINT™ are trademarks and registered trademarks of Splunk Inc. in the United States and other countries. All other brand names, product names, or trademarks belong to their respective owners. © 2016 Splunk Inc. All rights reserved.